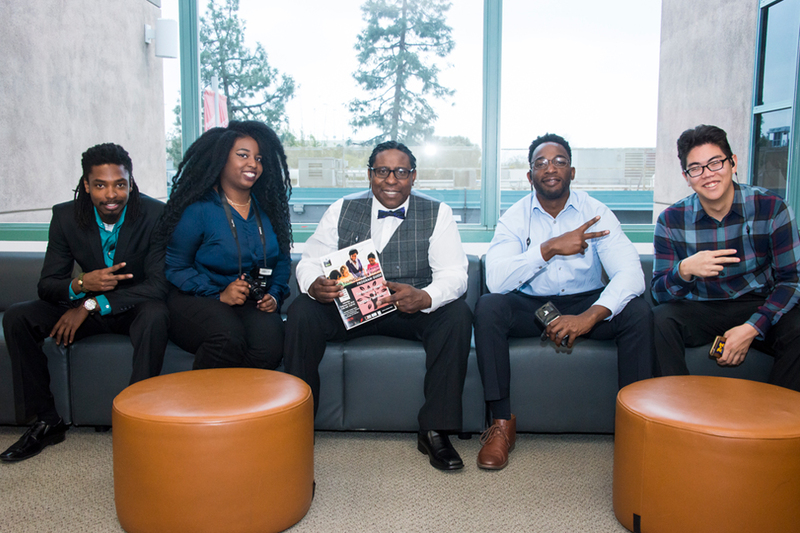 California State University, Northridge's Black Youth Guidance Forum provided students, parents, educators and advocates with free information about pursuing higher education, overall health and wellness, literacy and leadership development. Photo by David J. Hawkins. 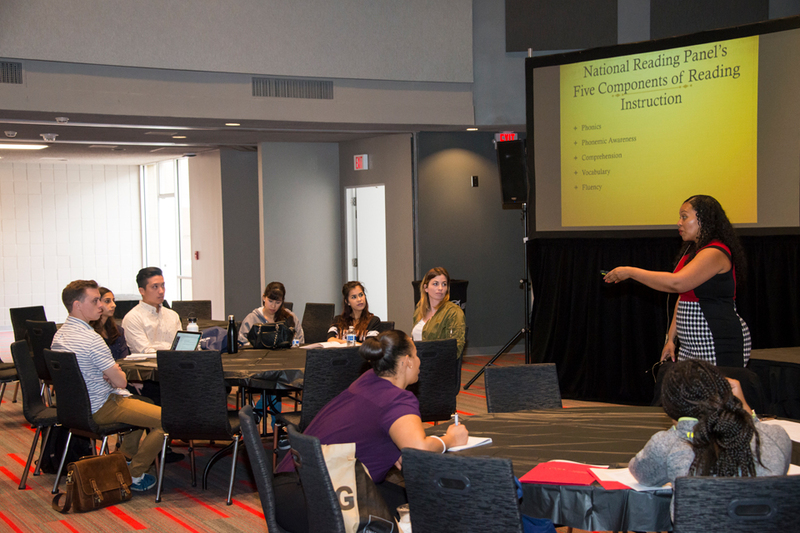 Keynote speaker Dale Allender, assistant professor in the Sacramento State Department of Teaching Credentials, addressed the complex negative health impact of racism on people of color, at CSUN's Black Youth Guidance Forum. Photo by David J. Hawkins. Theresa White, CSUN Department of Africana Studies chair, posed with Cedric Hackett, professor of CSUN’s Department of Africana Studies and director of the university’s DuBois-Hamer Institute for Academic Achievement. Photo by David J. Hawkins. 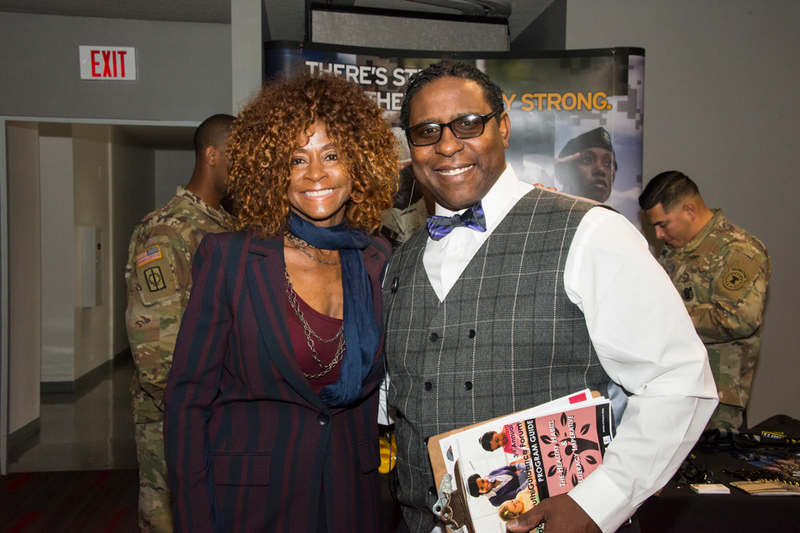 To empower black youth, organizers of California State University, Northridge’s Black Youth Guidance Forum provided students, parents, educators and advocates with free information about pursuing higher education, overall health and wellness, literacy and leadership development. 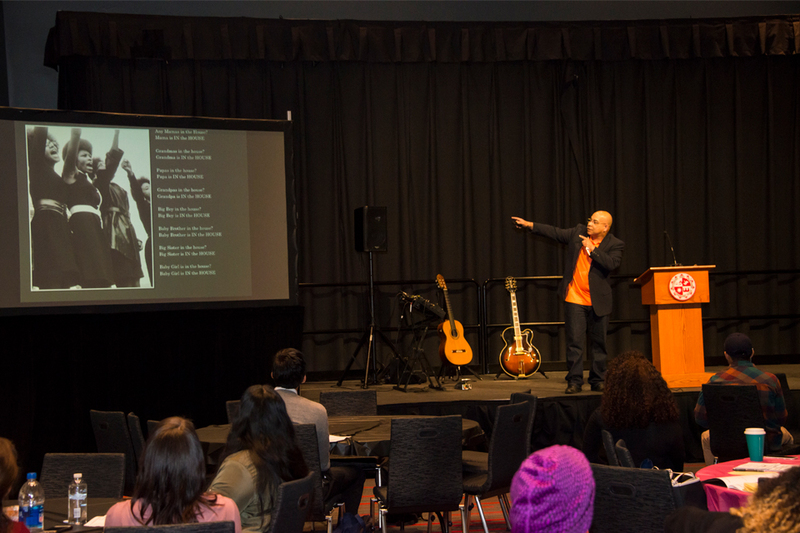 The third annual empowerment outreach event, held Feb. 10 in the Northridge Center of the University Student Union (USU) featured interactive panels, workshops, keynote guest speakers and ​Black Panther​-inspired dances. More than 200 people of all ages attended the Feb. 10 event, titled Black Youth Guidance Forum: Healthy Habits and Literacy Imperative. The forum also highlighted educational and cultural endeavors for students, parents and teachers in grades K-12. 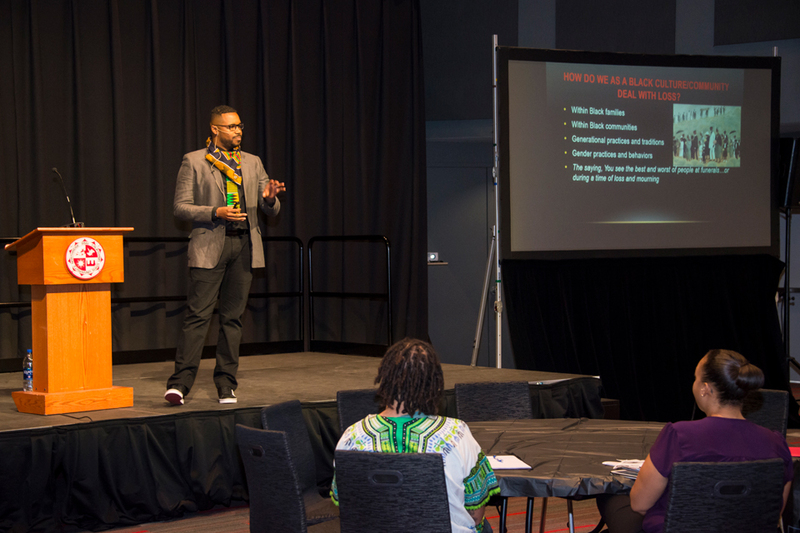 Keynote speaker Dale Allender, assistant professor in the Sacramento State Department of Teaching Credentials, addressed the complex negative health impact of racism on people of color, and he described models of resistance in modern pop culture. Allender delivered a speech titled Leveraging the Complex Negative Health Impact of Everyday Racism on African Americans. In his speech, he discussed new research findings that indicate the poor health effects on people of color that result from racist encounters, experiences and environments. By including parents, educators, counselors and administrators, the forum provides a service to cultural and educational institutions throughout the diverse community of Los Angeles County. Other speakers included: CSUN professors Allen Lipscomb, Aimee Glocke and Shartriya Collier-Stewart; Pastor Andrea Humphrey of Hope’s House Ministries; and Principal Josephine Stevens of Topeka Charter School. 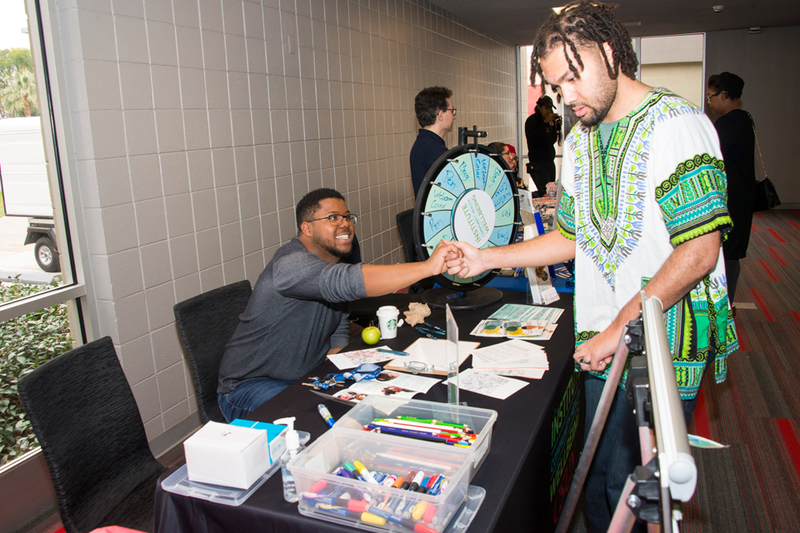 The event also included a health, resource and advocacy fair, which featured nonprofit organizations, financial literacy support programs, military information and businesses owned by people of color. The forum ended with a CSUN student panel showcasing student reflections, talents and passions. Meya Holmes, an economics major minoring in dance, performed a hip-hop dance selection to two of Kendrick Lamar’s tracks from the new Black Panther movie soundtrack album. “I was excited to share my art because I knew there would be young people [in attendance] who I could potentially inspire to dance or use dance as an outlet,” Holmes said. The Black Youth Guidance Forum, which celebrates CSUN’s Black History Month, was organized in partnership with the university’s DuBois-Hamer Institute for Academic Achievement, BUILD PODER, Educational Opportunity Programs, USU, Office of Student Affairs, Department of Africana Studies and California Credit Union. For more information about the DuBois-Hamer Institute for Academic Achievement, please visit www.CSUN.EDU/DHIAA.